Hello everyone! 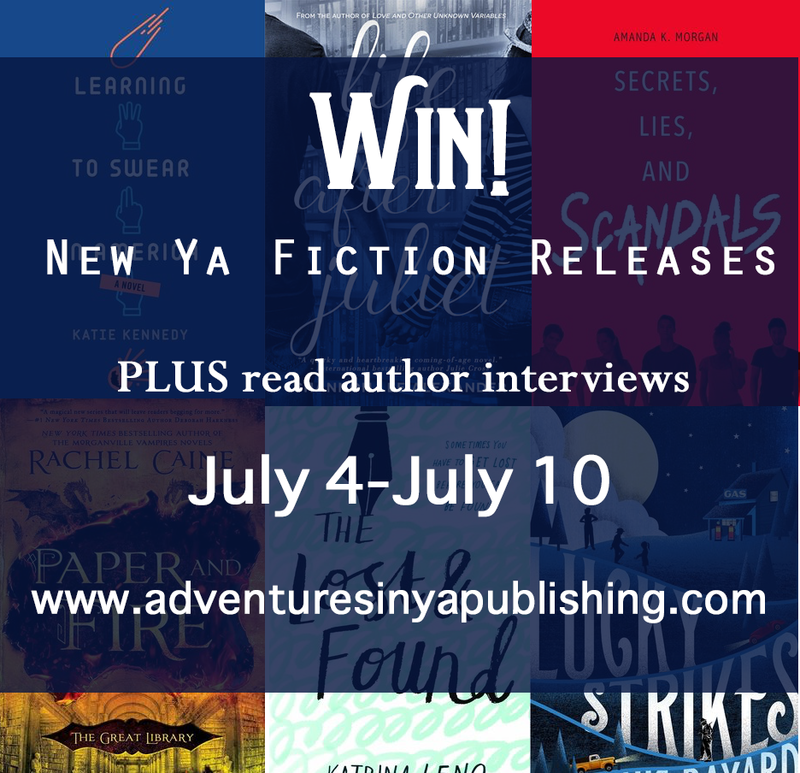 After a few weeks of no giveaways, we have three to kick off this July! Don't forget to check out all the new releases and add them to your TBR! Author Question: What is your favorite thing about Learning to Swear in America? 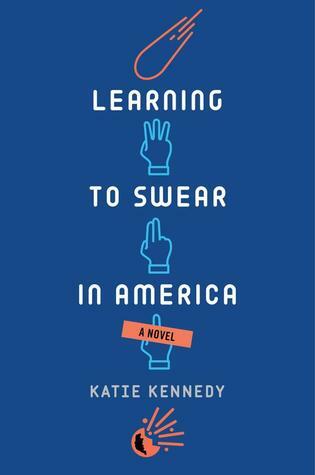 LEARNING TO SWEAR IN AMERICA is a high concept book—meaning that an incoming asteroid is a scenario that’s easy to explain and easy to grasp. I learned a lot while researching the science scenes, but my favorites were the scenes Yuri has with Dovie (and her brother, Lennon). It was fun hearing them all talk to each other. So in a book that is pretty explicitly defined by its plot, my favorite thing is the characters, and the interactions between characters. Becca Hanson is a reader--a "voracious" reader. And with all those fictional friends, she never had time for real ones. Plus real ones come with uncontrollable quirks, like constantly filling a room with song, drawing on any available surface, and worst of all, dying. Real friends are more trouble than they're worth. Since her best-and only-real friend Charlotte's death six months before, Becca has returned to a life of books in order to distance herself from heartache and constant loneliness as her junior year at Sandstone High begins. When a class project forces her into the Drama Club, she attracts the attention of not one, but TWO guys involved in the production, onstage and off. Meanwhile, she's still dealing with the grief of Charlotte's death--the fact that Charlie is away at MIT--and that she finally has to build a life for herself on her own terms. Ultimately she learns more about who she is, what she wants, how she feels--and how to find what she's looking for. And while she isn't sure what comes next, she's pretty sure there'll be more kissing involved. Author Question: What is your favorite thing about Life After Juliet? My favorite thing about LIFE AFTER JULIET is that much of the story takes place in a high school theater. I loved my theater arts classes and the drama club in high school. It was there that I found my first tribe, a merry band of misfits who made me feel at home in my own skin. I was so pleased to give Becca Hanson the chance to try out new roles and grow into her own true self while surrounded by a crazy cast of drammies and techies. With the police hot on the case, they don’t have much time to figure out how to trust each other. But in order to take the lead, you have to be first in line … and that’s the quickest way to get stabbed in the back. 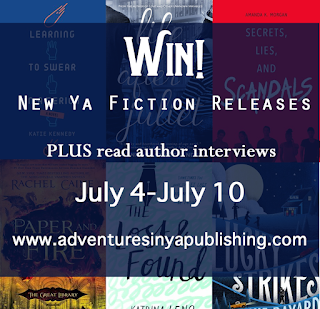 Author Question: What is your favorite thing about Secrets, Lies, and Scandals? That's actually a really tough question! 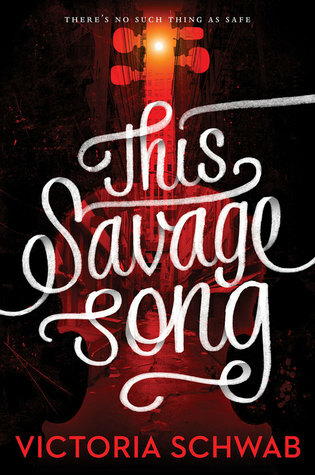 There are a lot of things I really like about this book, but I think I love the main characters the most. SECRETS, LIES, AND SCANDALS is told from the viewpoints of five different characters: Ivy, Mattie, Tyler, Kinley, and Cade. They're all good people in a really awful situation. I love how it really forces the cast to confront what's important and what they're unwilling to lose. 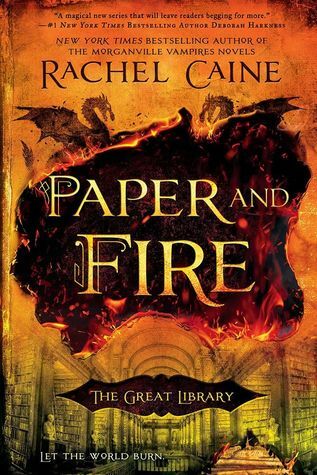 Author Question: What is your favorite thing about Paper and Fire? For any book I do, it's the characters that really pull me through a story, and PAPER AND FIRE sees all of the characters from INK AND BONE change and grow ... and reveal more secrets. For Scholar Wolfe and Captain Santi, we get to see the strength and love of their relationship, and how much it costs them to stay together through it all. For Jess and his friends, we really see them growing up to face ever-increasing challenges ... not just the physical hardships they'll face, but the emotional ones, too. Without giving too much away, they'll have to make very hard choices in this book that will change the course of their lives ... and those choices have very real consequences to the world. 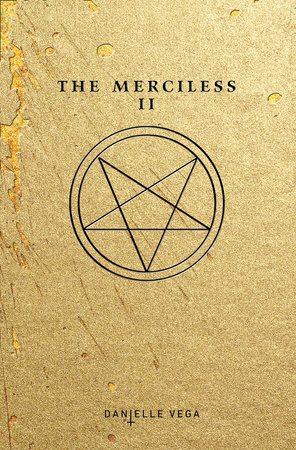 Having said all that, one of the most fun things I did in this book was to really dig into the puzzle of the Iron Tower and the Obscurists, the Black Archives that the Library hides from the rest of the world, and all of the sinister implications of what it's suppressed through the ages. It's surprising for the characters and me as a writer, and I hope for readers, too. Also, automatons! SO MANY. And so dangerous! Egyptian gods, sphinxes, Roman lions, Spartan statues ... and every one of them will be against our heroes at some point. I love history, and seeing it come to life in my imagination is really the very best thing about PAPER AND FIRE for me. Author Question: What is your favorite thing about The Lost & Found? 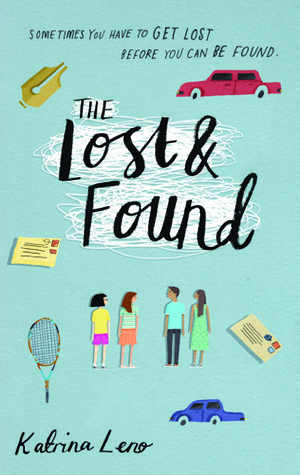 My favorite thing about THE LOST & FOUND is the characters- both the two protagonists and the characters who follow along with them in their journey. It was important to me to have strongly developed "secondary" characters (in quotes because I think both Willa and Arrow would be pissed if you called them secondary) because so often in life we are supported in our personal journeys by strong, positive friends and family. I wanted to reflect that in TL&F and I think Willa and Arrow play their parts admirably! 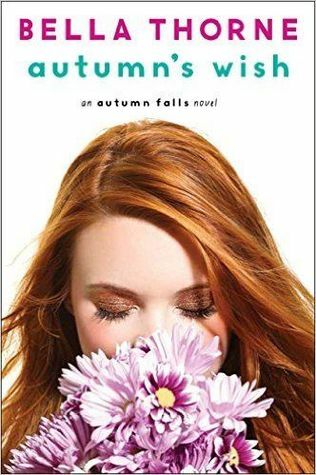 Senior year is here, and everyone has a plan—except Autumn Falls. So many crazy-important decisions lie ahead, and she’s scared to make the wrong one. So when she receives a magical watch that enables her to travel through time (!!! ), Autumn hopes she can correct all of her past mistakes—with her friends, with boys—and maybe even prevent her dad from dying. But the watch doesn’t work that way. Instead, Autumn discovers that she’s only able to visit the future—and she doesn’t like what she sees. Autumn can change her destiny . . . but what does she really want? Set in Depression-era Virginia, this is the story of orphaned Amelia and her struggle to keep her siblings together. With her mama recently dead and her pa sight unseen since birth, fourteen-year-old Amelia is suddenly in charge of her younger brother and sister, and of the family gas station. Harley Blevins, local king and emperor of Standard Oil, is in hot pursuit to clinch his fuel monopoly. To keep him at bay and her family out of foster care, Melia must come up with a father, and fast. And so when a hobo rolls out of a passing truck, Melia grabs opportunity by its beard. Can she hold off the hounds till she comes of age? Two girls test the strength of their friendship—and their hearts—over the course of a summer weekend in this contemporary novel perfect for fans of Morgan Matson and Rainbow Rowell. Happy 4th. So many good books this week! I really want to read Life After Juliet. Thanks for the post. Happy 4th! Lots of exciting books out this week and next. These are all on my TBR list! HAPPY 4TH! There are some cool new books out this week! Thanks for the contests! 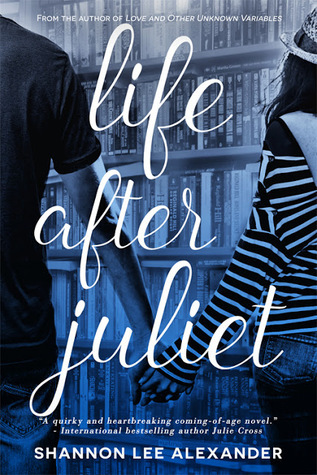 I really want to read Life After Juliet! Happy Sunday!